Add your choice of hot beverage and warm up with your favorite supernatural hottie! 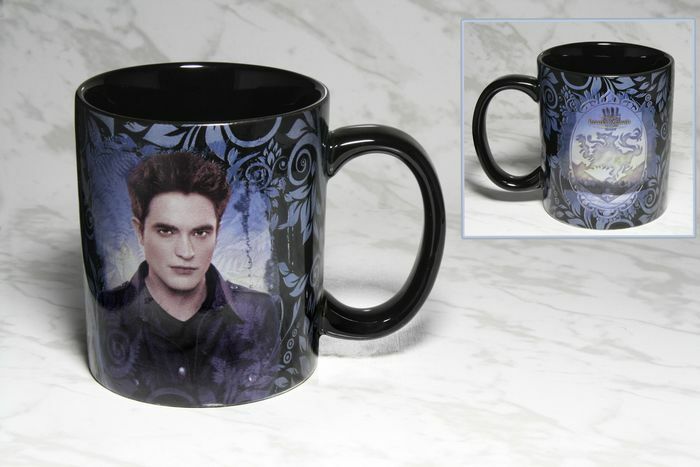 This brand-new Twilight Breaking Dawn Part 2 mug features Edward on one side; the Cullen family crest appears on the reverse. Sturdy ceramic holds about 11 ounces and is ready for home, office or school.